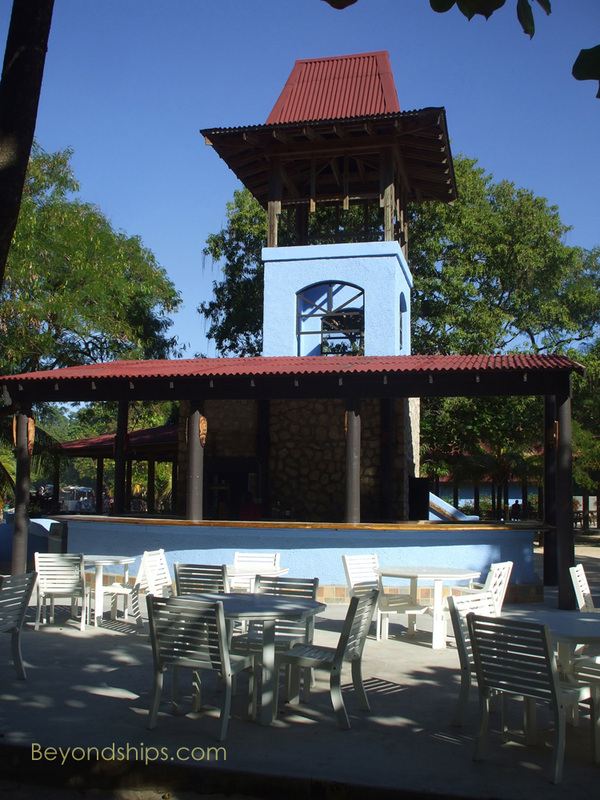 Labadee has several bars and dining venues. 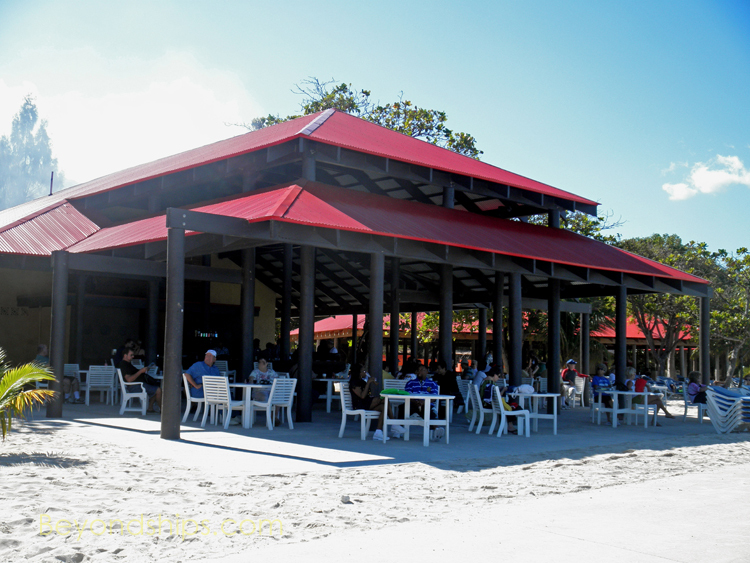 All of the food and drinks that are served on Labadee is brought ashore from the cruise ship. 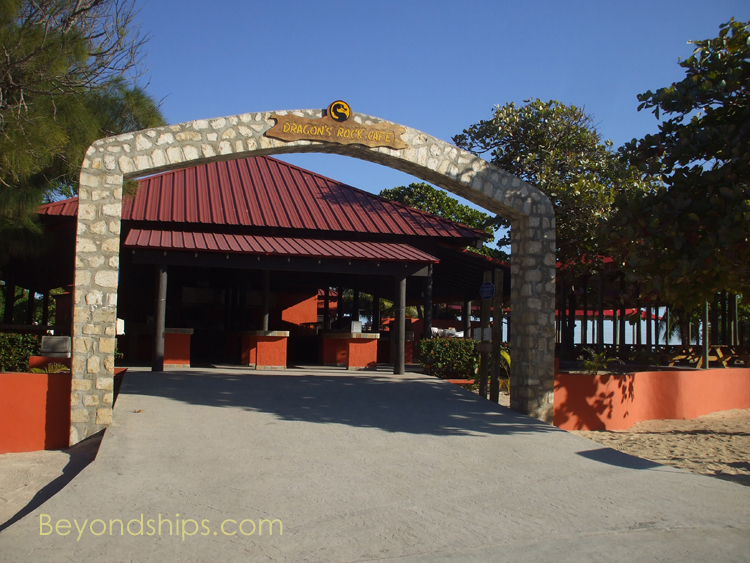 The ships usually arrive at Labadee during or after breakfast and sail before dinner. 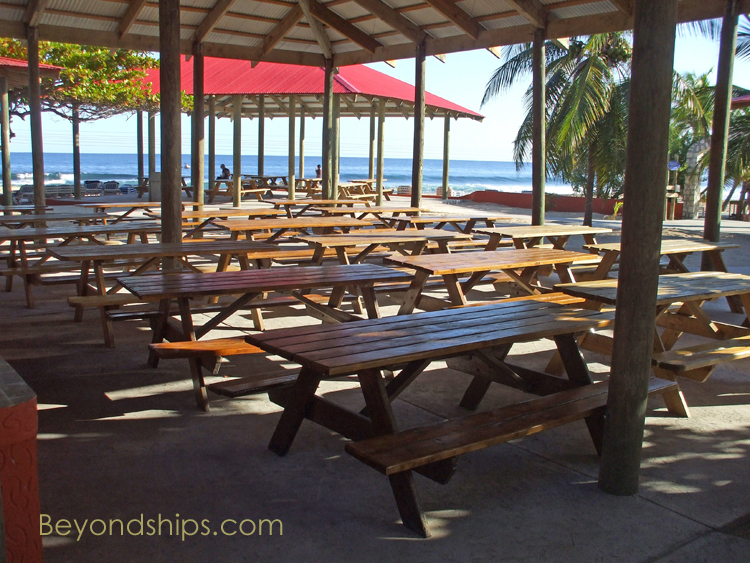 As a result, dining is limited to lunch and snacks. 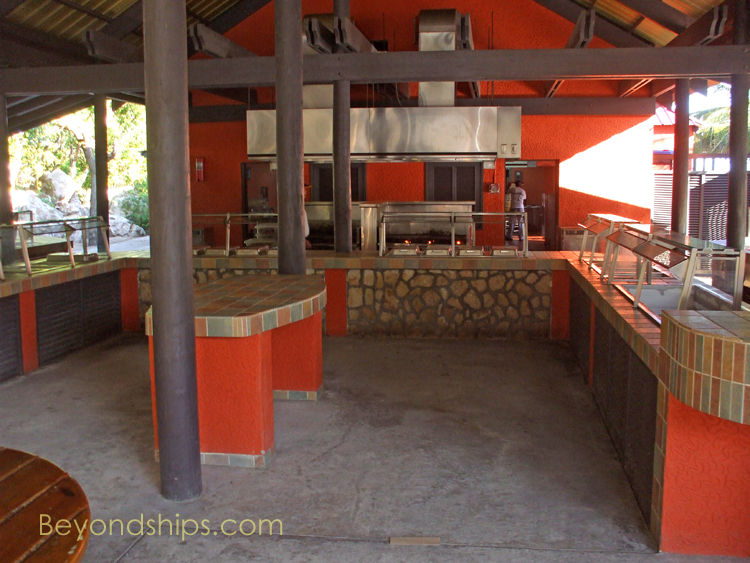 The ship's crew prepares a barbecue lunch that is presented buffet style in the various dining facilities. 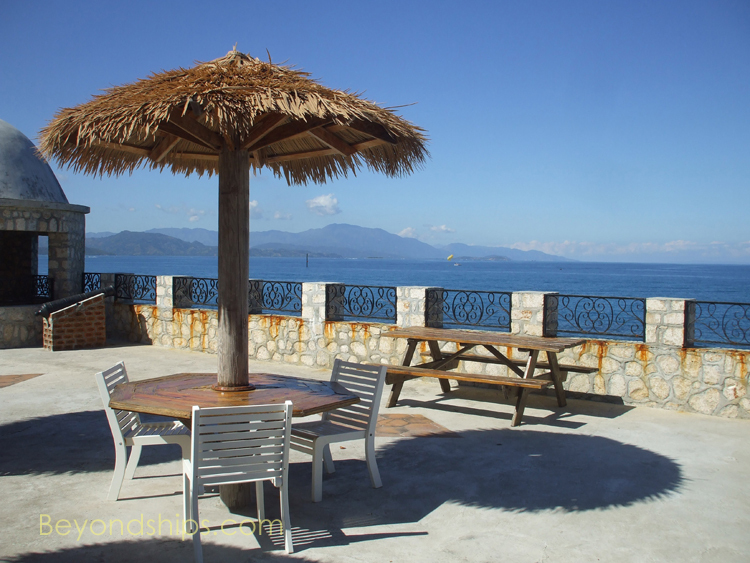 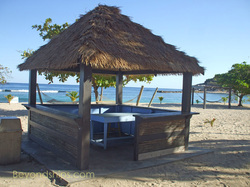 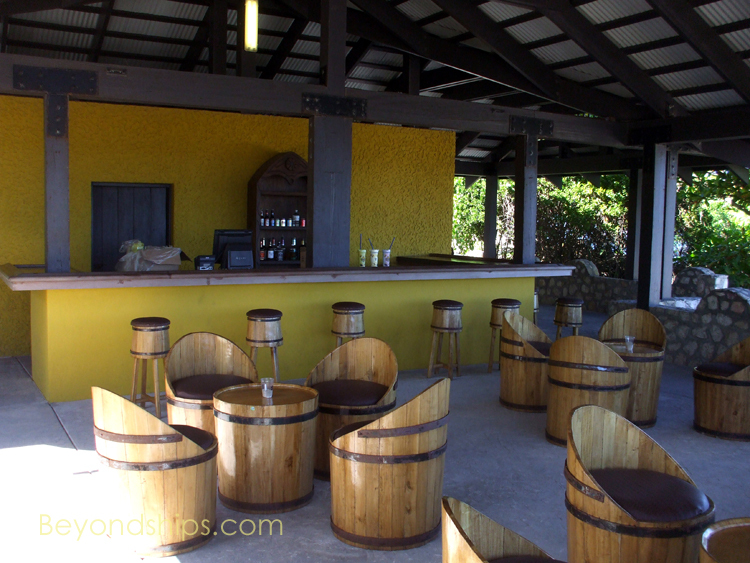 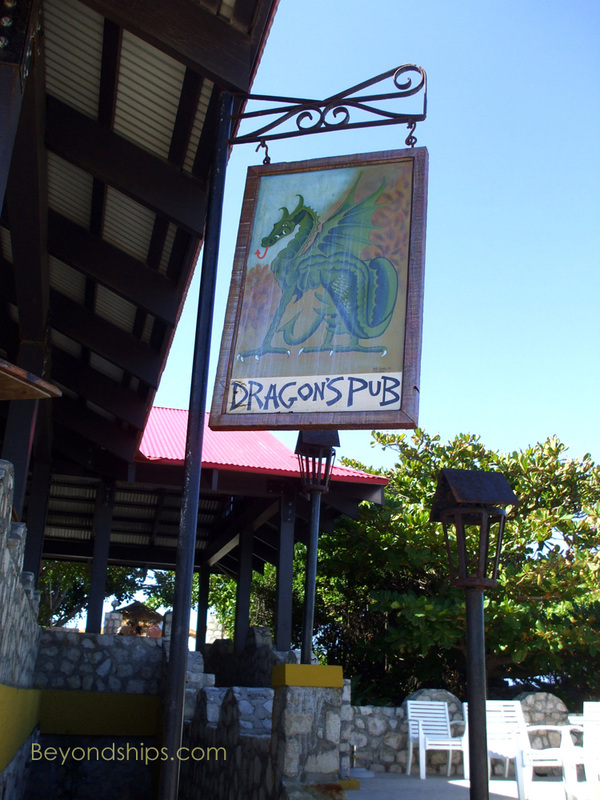 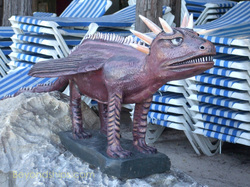 The most attractive bar facility on Labadee is the Dragon's Pub at Dragon's Breath Rock near the tip of the peninsular. 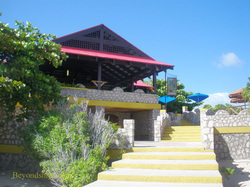 there is a stone terrace that overlooks a rocky coast. 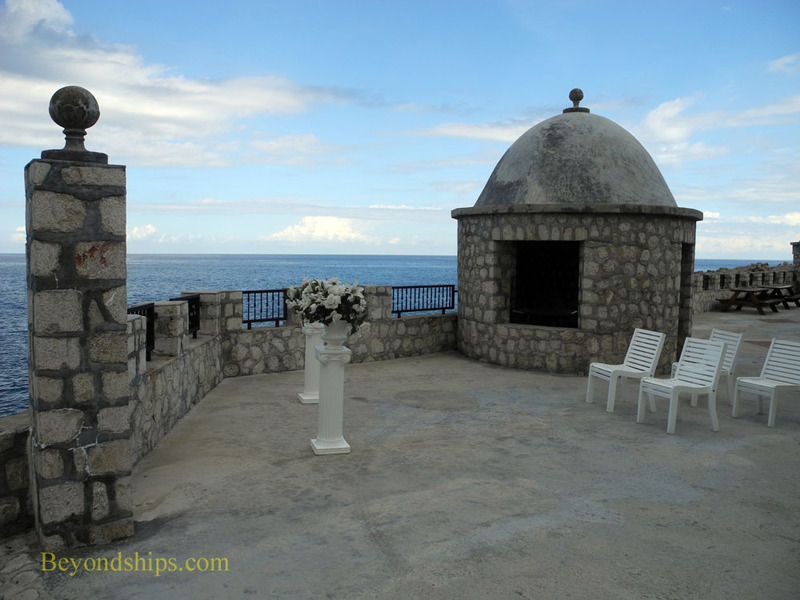 Because it is so scenic, the outside terrace is also used for weddings and renewals of vows as well as for spa treatments. 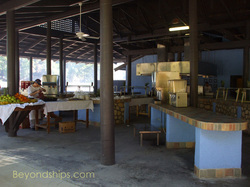 facility, one of the places where the buffet lunch is served. 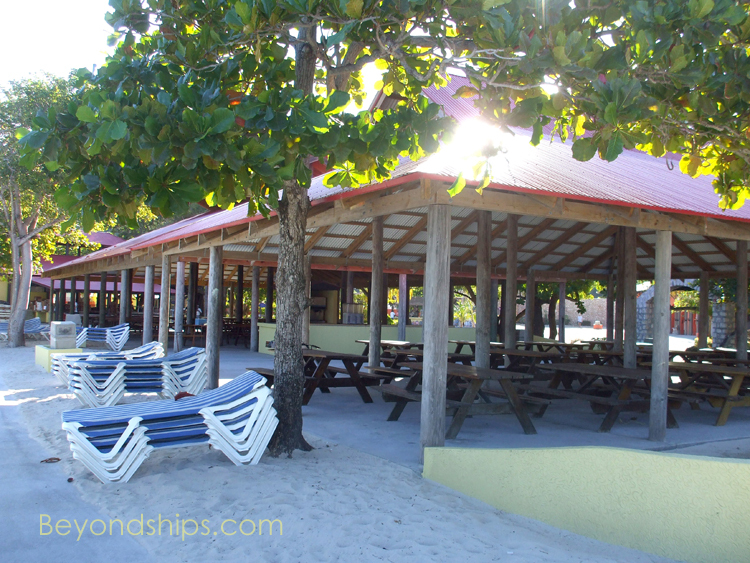 Schooner Bar and Café Labadee. 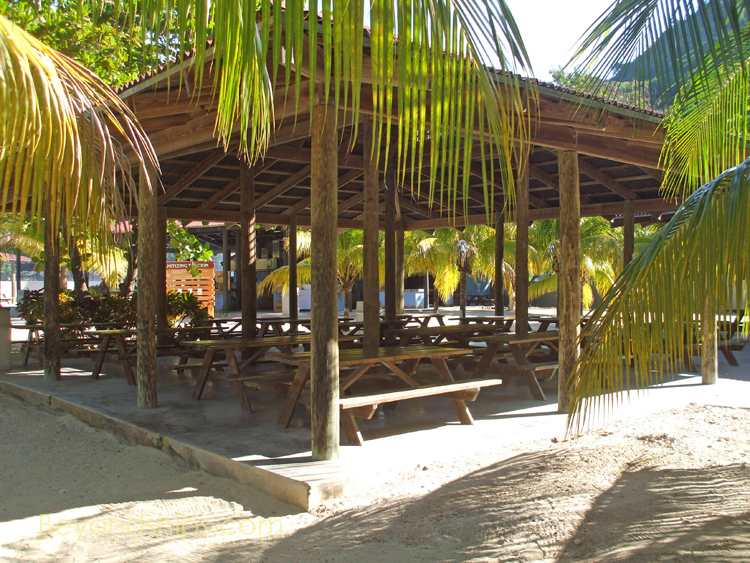 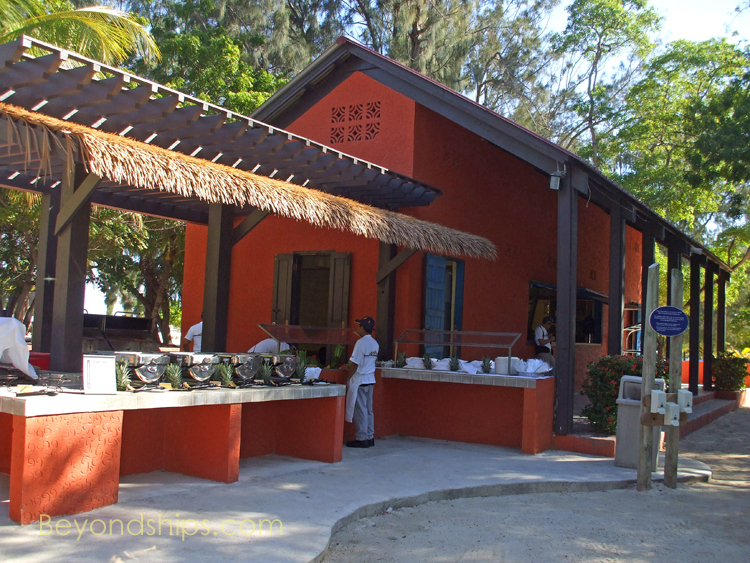 Turning to the southern shore, Columbus Cove has its own bar, the Columbus Cove Bar (left), as well as its own dining facility, the Columbus Cove Café (right and below). 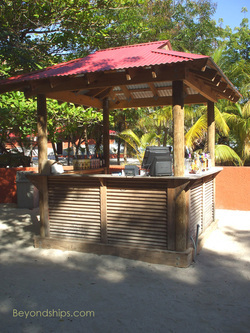 Similarly the Barefoot Beach Club has its own bar and facilities for dining. 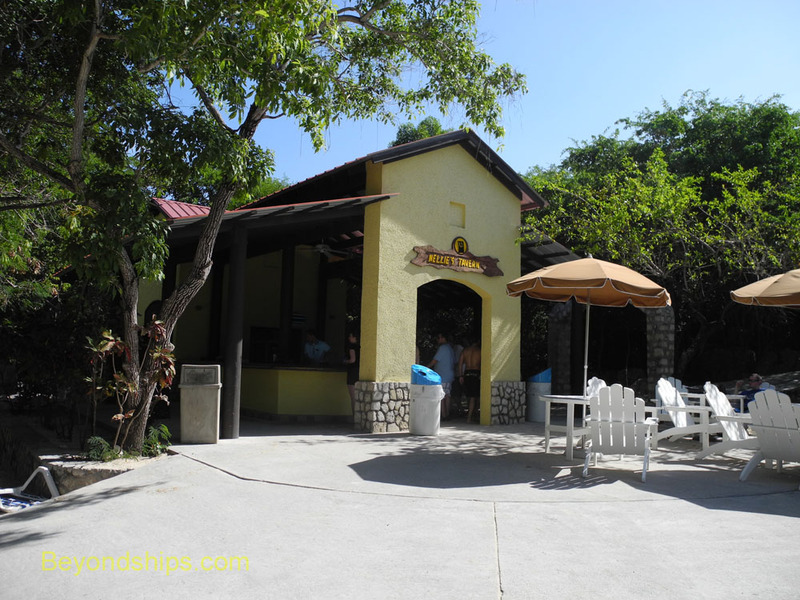 Labadee spa and shopping is next.